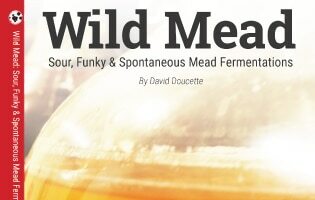 After writing a few articles on Lambic and sour mead making for homebrew talk, I found myself exploring new ways to create sour meads. 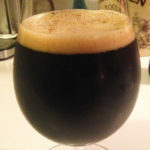 This recipe relates to one of the research batches I did for the homebrew talk article on Berliner style meads. One of those ways is to “sour mash” your mead to create a lactic sour character. First I heated my must up a bit to 110F. From there I added in 2 handfuls of uncrushed pilsner malt. I left it for 24 hours, keeping it under an airlock, filled to the top (to avoid oxygen), and warm as possible (to promote lactic acid growth). The wild yeast and lactobacilllus made a bit of foamyness. I took the mead off of the grain. Next I pasteurized the mead by slowly bringing it to a boil, then killed the heat and cooled. Then I pitched champagne yeast. The gravity is down to 1.002. It’s not very sour at this point, so I added dregs of White Birch’s Berliner Weisse. It’s a great beer with both brett character and a balanced sourness. The mead is completely clear. 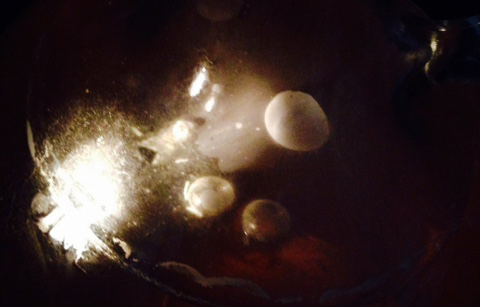 There is also a renewed lambic fermentation from the dregs, and a minor pellicle has formed. I’ll probably top up the airlock and let it keep going for a while before tasting. This is now in bottles. It is a very nice golden color. Very clear. 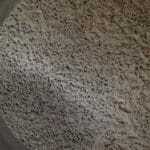 The flavors are that of mild lacto sourness with a medium dose of hay / brettanomyces characteristics. If you are fond of brett flavors in sour beers, you’ll be a fan of this mead. It’s a sneaky 8.4 percent ABV. I’ll be updating the post with pictures of the finished product when I open one up. If you have any questions on how to make a sour mead, use the contact and connect page to reach me.